Oh…back to this blog hop. If you’re following my posts on Instagram, you’ll notice that for 6 weeks now, I’ve joined 15 blogger friends of mine on hosting a fall-related decorating challenge under the Hashtag #Homeforthefallidays. There’s a new theme each week. 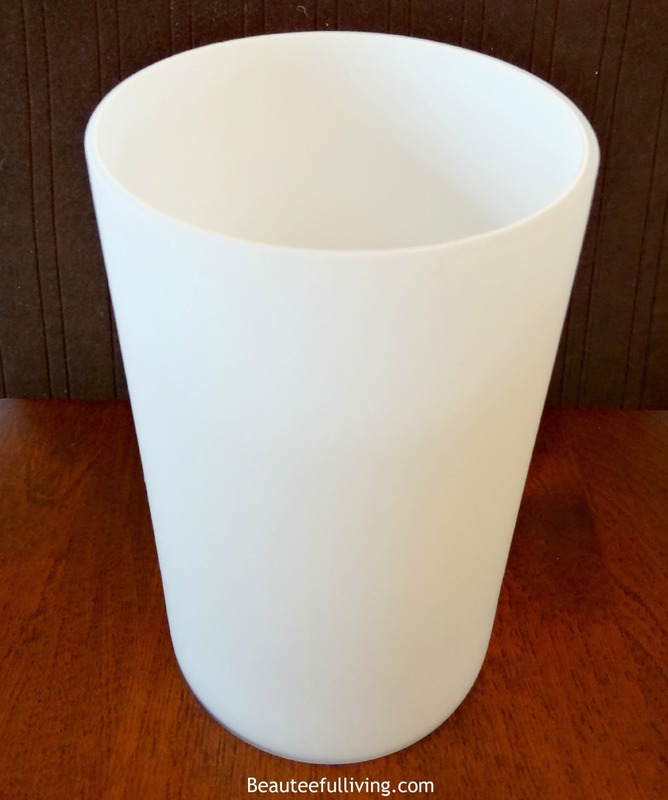 Since this week’s theme is “DIY,” eight of us hosting decided to post our DIY project on our blogs as well. Since I’ve wanted to make embellishments to my pendant chandelier for Halloween, this was the EXACT project I thought would be perfect for this challenge. Here is the West Elm pendant chandelier that I’m constantly decorating for holidays and parties. Some examples here, here, and here. 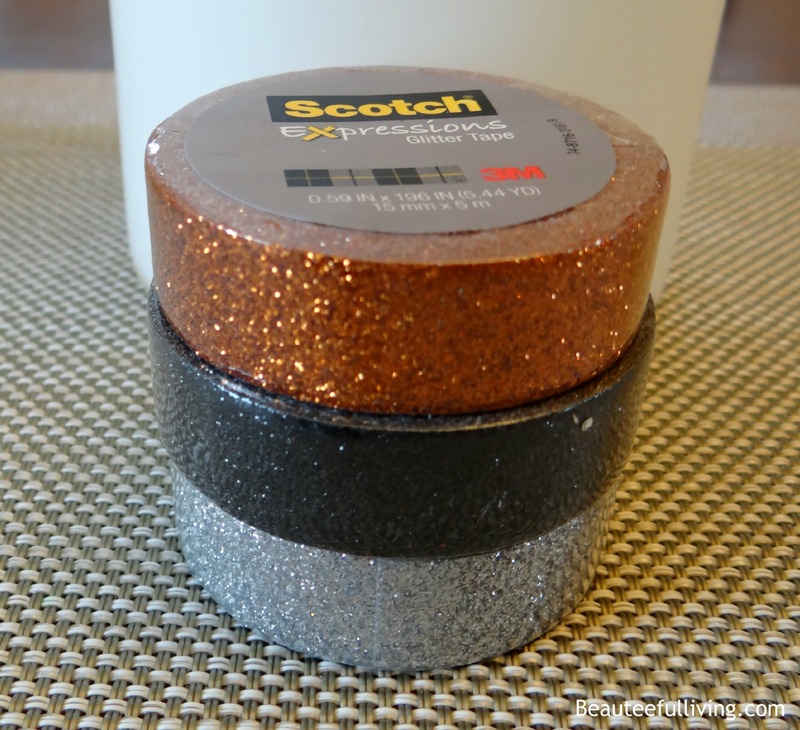 STEP TWO: Get Scotch Expressions glitter tape. 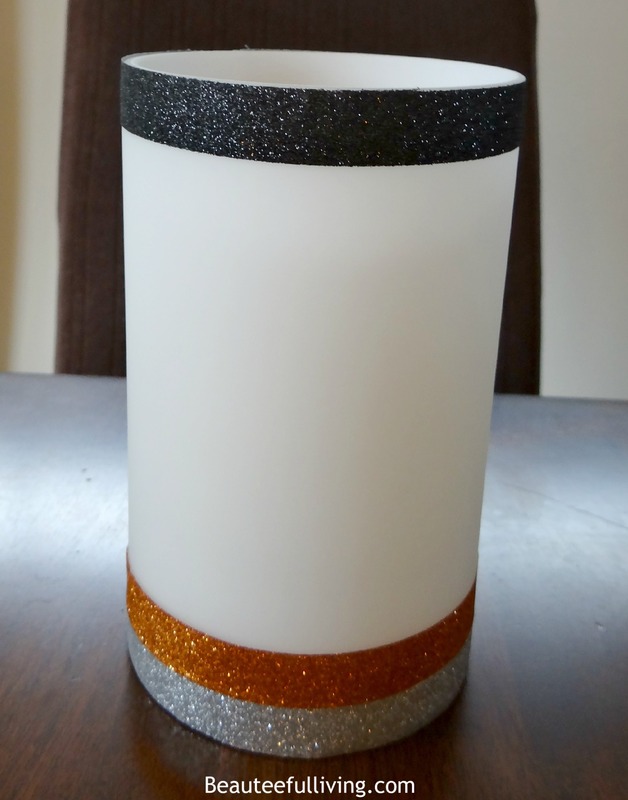 I chose silver, black, and orange to go with Halloween theme. This is how they look once all cut out. I made ones with orange card stock paper as well. STEP FOUR: Start wrapping your glass shade with the Scotch Expressions tape. 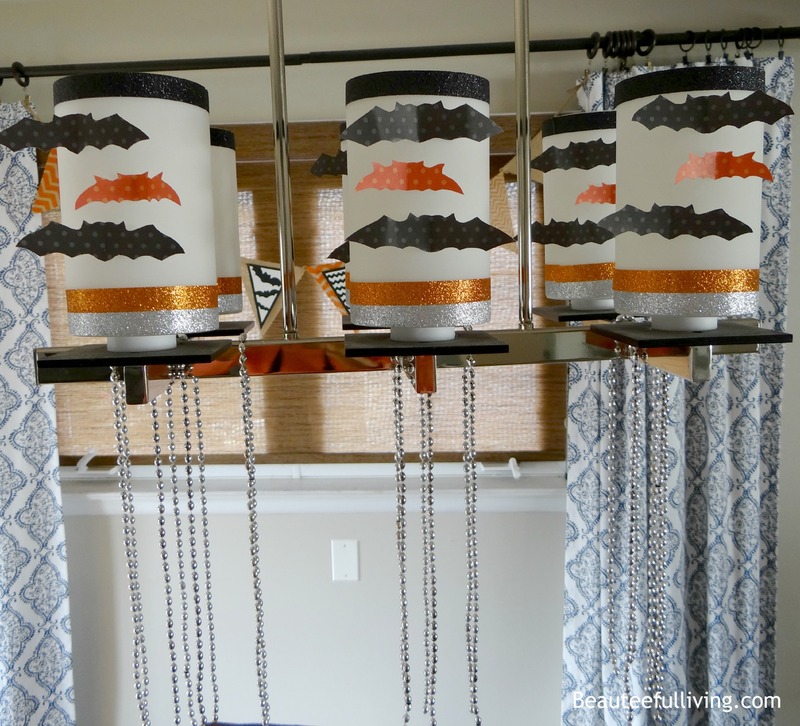 STEP FIVE: Stick your cool bats on your pendant shades! Removable glue dots or masking tape would work. 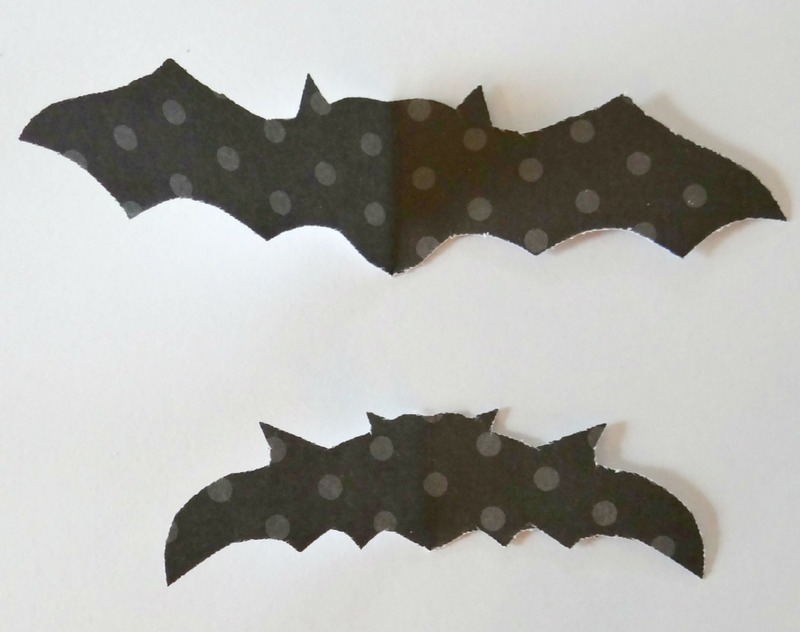 By the way, you can crease the bat wings a little for a more 3-D look. Below is a photo of the shades lit! Love that glow. 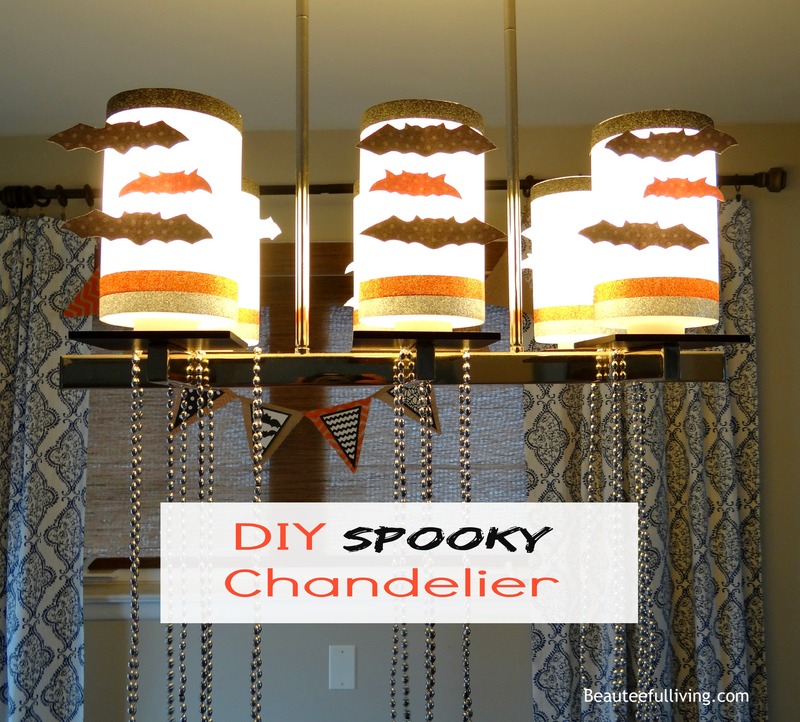 Hope you’ve enjoyed this DIY Spooky Chandelier project! Please bookmark or Pin this post for future reference. Don’t forget to check out these amazing projects from my talented blogger friends. Links below. Happy, happy birthday!!! 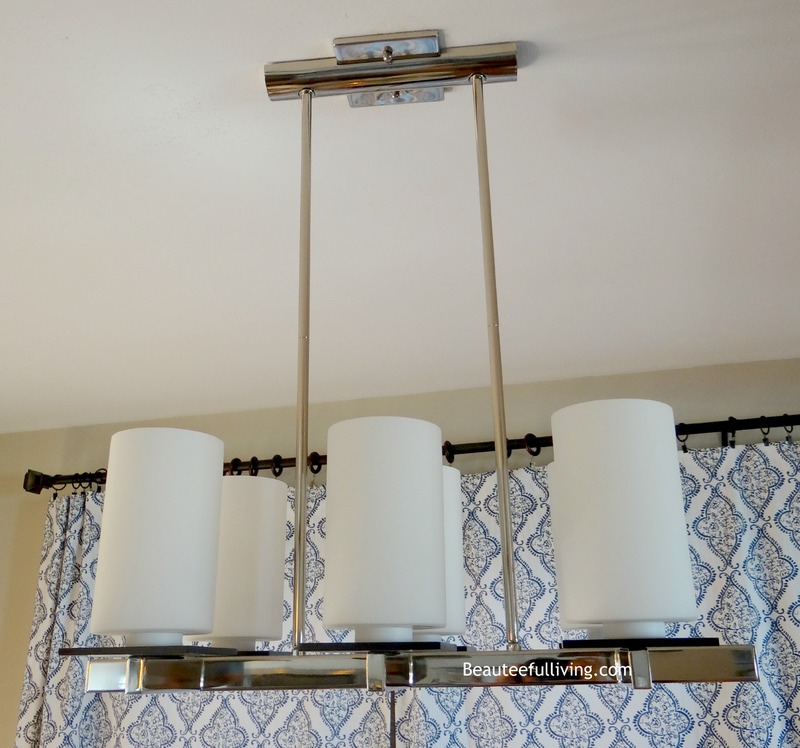 Love how you decorated your chandelier! My chandelier has the same shaped glass, so I could totally copy this! Thanks for sharing! Aww, thanks so much Samantha! Happy birthday Tee! Your spooky chandelier is perfect! So simple and fun. I bet your kids love it. Hi, Tee! Happy birthday! 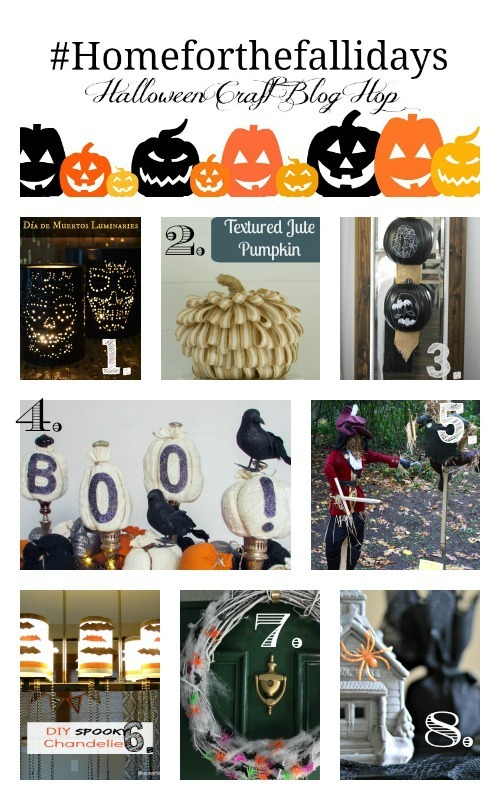 Love your DIY Halloween chandelier! SO cute — I might have to decorate mine! 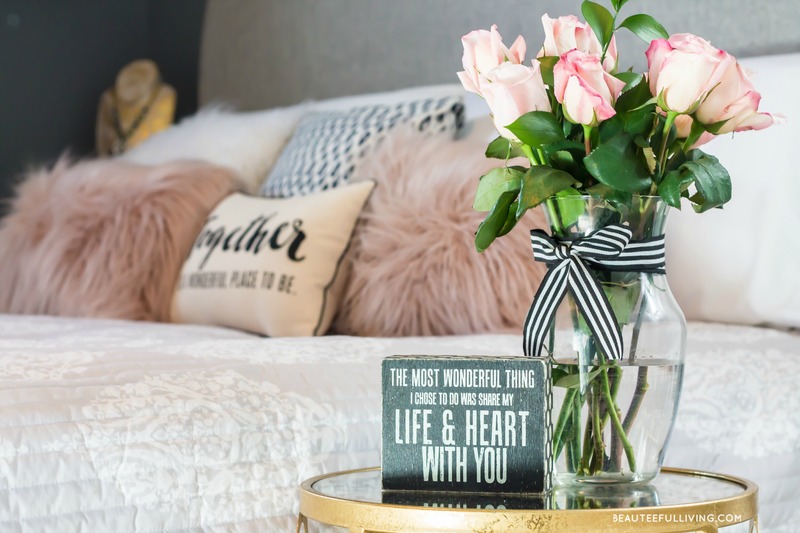 What a simple yet effective decor idea! 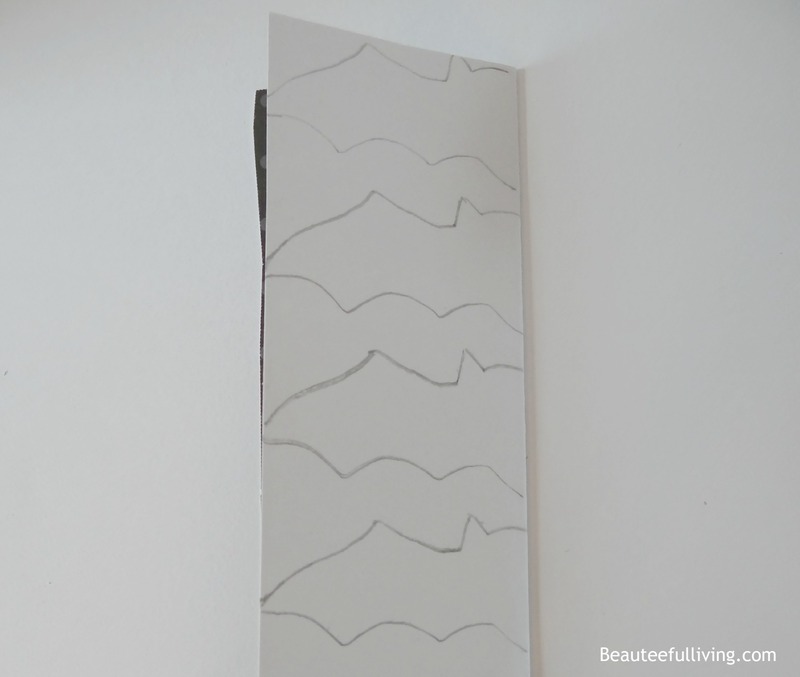 I’d honestly never thought of using decorative tape like that. Great job! Happy Happy Birthday Tee! I love the way you dressed up your chandelier! I would have never thought to do this, but I love, love the way it looks! Thank you so much for the awesome idea! Happy Birthday Tee!!!!! Have a fabulous day and wonderful dinner tonight!!! GET out, on your light! So many talented gals, I can’t handle it. I would have NEVER thought to do that and it turned out great! Thanks so much, Sara! I’m so blown away for the projects shared!